Sunwing is adding direct flights from Toronto to Tobago beginning in December, 2018. Canadians have an attractive, new option for a Caribbean getaway this winter. Sunwing is pleased to offer Canadians a new tropical destination this coming season with the addition of a seasonal flight service to the Caribbean island of Tobago for the very first time. Direct flights from Toronto will operate on Thursdays between Dec. 20, 2018 and April 18, 2019 inclusive. Sunwing is anticipated to be the only Canadian leisure carrier to offer a direct flight service to this tropical destination. The smaller of two islands that make up the nation of Trinidad and Tobago, this beautiful destination attracts vacationers with its rich heritage, lively culture and lush landscapes. 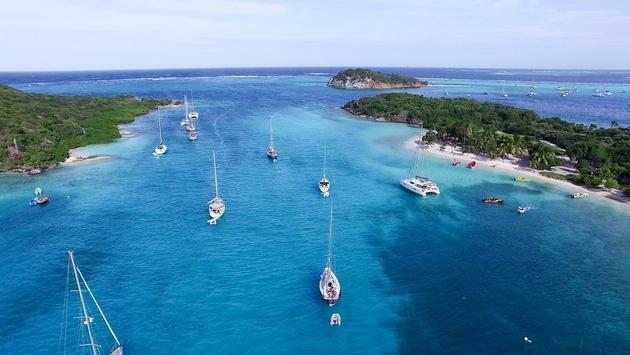 A popular spot for divers, with crystal-clear waters that are teeming with vibrant marine life, travellers who choose to visit this vibrant destination can look forward to relaxing on pristine beaches, swimming in calm bays and taking in breathtaking views. Sunwing will offer a number of resorts on the island including the new Starfish Tobago Resort, opening in December. This family-friendly resort combines an enviable beachfront situation with varied accommodations, complimentary sports and activities such as sailing and two on-site restaurants, one of which specializes in fresh seafood and island cuisine. Located on a beautiful stretch of Pigeon Point Beach, Magdalena Grand Beach and Golf Resort provides luxurious accommodations, three sparkling pools, lush hiking trails and an on-site PGA-designed 18-hole, 72 par golf course. All Sunwing packages to Tobago include return airfare and airport transfers, accommodations and the services of a Sunwing representative. Ten adults travelling together can receive special prices, added values and reduced deposits. All packages include return flights on Sunwing Airlines, where passengers will be treated to award-winning inflight service, complimentary non-alcoholic beverage service and buy-on-board selection of light meals and snacks with choices inspired by Food Network Canada Celebrity Chef, Lynn Crawford. PAX also benefit from a complimentary 23kg checked luggage allowance. To book your next all inclusive vacation visit www.sunwing.ca or contact your travel agent.